Mecseknádasd is located approx. 30 km northeast of Pécs. After the Ottoman Rule in 1686 Serbian Orthodox and Hungarian Calvinist reformers populated the village. Mecseknádasd and its surroundings belonged to the Bishop of Pécs’ domain. At the beginning of the 18th century, the population was diminished by three plague epidemics so that the landowner, Bishop Wilhem Count of Nesselrode from Westphalia, settled Catholic German families there. The colonists came mostly from Hesse, Rhineland and Bavaria. 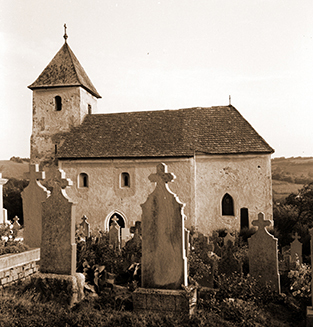 The migration to Mecseknádasd continued throughout the 18th century and the Hungarian Calvinists gradually moved to the protestant neighbouring villages. One part of the residents made their living through craftsmanship (brick masons, carpenters, potters, stone masons, wagon makers) and the other, bigger, parts through viticulture. From 1870 till 1880, Mecseknádasd produced the greatest amount of wine in the whole region. An enormous wine fretter epidemic however put a stop to the aspiring wine culture. The soil was badly fit for the growing of grain and thus the hills around the village were used as pastures for cattle, which played an increasing role in for the region’s sustenance. Around 1752-1753, Bishop Georg Klimo built a one-story summer residence in Mecseknádasd . It included an octagonal chapel dedicated to the Lady of the Snows, a park, a garden where deers were kept and several estate buildings. 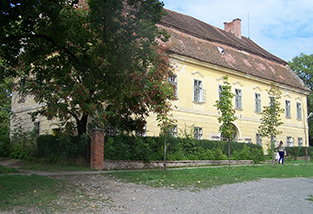 On the 24th of October 1846, Franz Liszt stayed in the residence when he travelled from Szekszárd to Pécs. A quartet of the Pécs’ male choral society gave a serenade in his honour consisting only of German songs, since the singers did not know any Hungarian ones. Liszt’s visit is commemorated with a marble plate on the former castle and a bust by Imre Varga. One of the villages baroque monuments is the parish church, a single-nave building dedicated to Saint George. The foundation was laid in 1760 and it was consecrated in 1770. The main and side alters were painted by Johann Baumgartner, a Capuchin from Vienna. The stone statue of Saint Wendelin, which is painted in beautiful colours, is by Mecseknádasd -born stone mason Stephan Hernesz. The parish hose was built at the same time as the church. The village was populated by several stone mason dynasties. Their ornate tombs can be seen at the graveyard at Main Street 6. Next to the graveyard chapel from the 13th century, one can still find some stone crosses from the 1720s which bear the names of colonists from the first wave of settlement. The Chapel of St. John of Nepomuk, a late baroque building next to the stream’s bridge, as well as the Calvary with its chapel dedicated to the Virgin Mary attest to the deep piety of the residents. Graveyard chapel from the 13th century with tombs of German settlers. The Bishops of Pécs’ baroque summer residence. 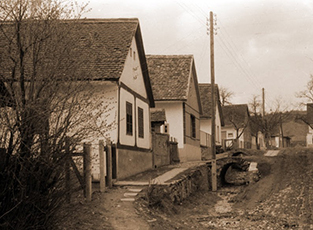 Street in Mecseknádasd in 1967. 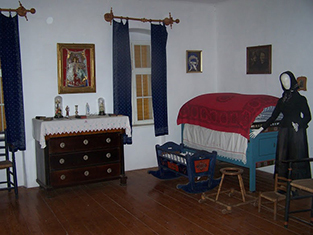 The local German-Hungarian museum exhibits artefacts of pre-war home décor and some typical instruments of local crafts. Furthermore an exhibition which illustrates the timber-framing technique, which the German settlers brought to Hungary, can be seen.